Sometimes truth can be stranger than fiction and other times it is that very fiction which inspires all too real dastardly deeds. You may be familiar with films inspired by true crime such as Cannibal (2006) which was about German internet cannibal and killer Armin Meiwes and Karla (2006) which focused on the tawdry and terrible crimes of serial killers Karla Homolka and her husband at the time Paul Bernardo, but what about films that actual true criminals like? 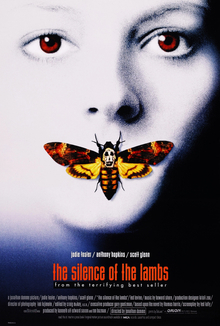 This list highlights crimes inspired by film as well as films favored by murderers. 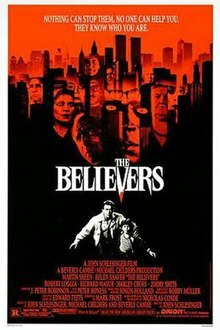 *Matamoros NarcoSatanicos- The Believers (1987) The creepy flick with African based sorcery at its core starring Martin Sheen and Jimmy Smits was reportedly screened for potential recruits of the cult by an enthusiastic believer herself, Sara “La Madrina” Aldrete . The cult, led by Adolfo “El Padrino” Constanzo, went on to torture and sacrificially murder 13 people. Aldrete, who resides in a Mexican prison has since gone on to write a bestselling book about her time in the cult and make art. Constanzo ordered a loyal follower, Alvaro “El Duby” de Leon to execute he and Martin Quintana, a lover/loyal follower as authorities closed in on his Mexican hide out. * Sarah Edmonson & Ben Darras- The drugged out teenage couple repeatedly watched Natural Born Killers (1994) before taking off on a Southern fried crime spree that left Bill Savage dead in Mississippi and Patsy Byers paralyzed in Louisiana. In 2010 after serving 11 years on a 30 year prison term, Edmonson, the daughter of an Oklahoma supreme court justice and niece of the state attorney general has been released from the Louisiana women’s prison where she was being held and ordered to serve her parole in Oklahoma. Her partner in crime, Darras, who is not from a politically connected family still remains in a Mississippi prison. *Lee Boyd Malvo- The surviving half of The Beltway Snipers serial killer duo, was obsessed with The Matrix (1999). He and father figure serial killer John Allen Mohammed (who has since been executed) claimed ten lives. In hundreds of drawings and notes Malvo wrote about “Freeing yourself from The Matrix”. Malvo even told officers that if they wanted to understand him they should watch The Matrix. In jail, dialogue from the movie written on pieces of paper were found in his cell.